Google Launched a new service. after delay, As Per Promised Google Wallet Service is being Rolled out. 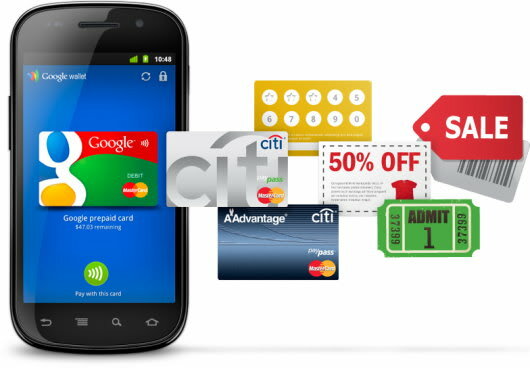 Google wallet is the first Mobile payment service, which relies on NFC ( Near Field Communication ) Currently including Android Support. Google Offered this Service will begin on Sprint Samsung Nexus S 4G Device. Wallet Service piggyback's off of MasterCard's already existing PayPass system; other partners in the service include Sprint, Citibank, Verifone, First Data, and First Bank. While the only credit cards supported out of the gate are MasterCards issued by Citibank, Google does have something up its sleeve. Google Wallet is launching with a built-in prepaid card that you can load from all your standard card types, including the aforementioned Visa, Discover, and Amex. Stay tuned with us at Facebook & Twitter and Subscribe Email to get updates on latest Google Wallet Updates.